Multichannel Retailing: Does Your Business Depend on Amazon? What would happen to your business if Amazon banned your seller account? If your sales and revenue depend heavily on the platform, you may not even want to consider the possibility. You’d lose your sales, your revenue, and your ability to reach customers in an instant. You’d also join the ranks of dozens of entrepreneurs who’ve lost their entire businesses over issues as unavoidable as customers claiming defective products simply to get free returns. It’s a risk that just isn’t worth taking. This is especially true when you can use a multichannel retailing strategy to avoid it and grow your business in the process. The definition has evolved over time, but multichannel retailing is essentially exactly what it sounds like: Selling products in several different locations. It used to describe the practice of selling products both in-store and online. This definition is still technically true, as many shoppers consult both a retailer’s online and physical store before making a purchase. Today, it’s possible to create a multichannel retailing strategy to reach customers and make sales that exist entirely online. If you run an ecommerce store on your own site and sell products on Amazon, you’re already a multichannel retailer. Congrats! In this post, we’ll cover all of these and more. If you’re happy with your current strategy, you might be hesitant to mess with a good thing. Plus, won’t expanding to other platforms increase your seller fees and take up more of your time? These are both common and valid concerns. Fortunately, while each platform does have its own seller fees, the increase in sales can make up for those fees. And, the ability to reach a wider audience is worth it. Regarding time, the amount you spend ultimately depends on your approach. It can take more time to manage multiple platforms, but tools like Shopify’s Multichannel Syncing simplify the process. A multichannel retailing strategy will help your ecommerce business reach a few key goals. Your business should never depend on a single platform, especially when it’s a platform you don’t own. When you rely on a third-party site to make sales, your business exists at the mercy of algorithm updates and platform changes. But, the factor with the highest potential for damaging your business is reviews. It’s not surprising that platforms like Amazon take reviews seriously. 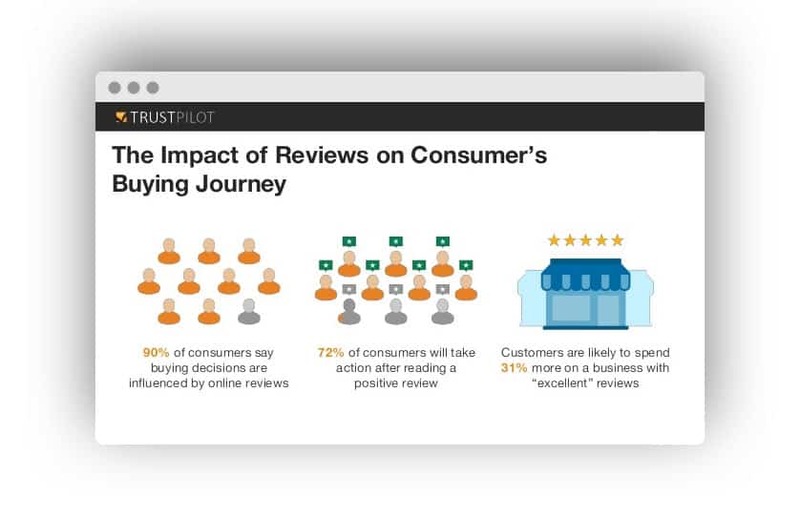 In fact, considering that 90% of consumers are influenced by online reviews, it’s a necessity. So it’s no surprise that Amazon often bans sellers with too many negative reviews. Unfortunately, some sellers have had their accounts suspended due to issues they had little to no control over. For example, prior to one seller’s account being suspended, he’d had a 100% satisfaction rate over the previous 90 days and a 99% satisfaction rate over the course of his time selling on Amazon. These averages came from thousands of reviews. In his suspension notice, this seller was told that his selling privileges were revoked because of issues with four specific listings. After looking into these listings, the seller found that he’d had one return of each, with the buyer claiming that the item was “not as described.” So even after thousands of successful sales, those four customers had the power to get his account suspended. While this seller doesn’t go into detail about whether those products actually weren’t as described, there’s a possibility that this happened simply because the customers didn’t want to pay for return shipping. Because he was only selling on Amazon, in this case, this issue prevented him from selling altogether. When you sell on multiple channels, however, you eliminate the risk of a handful of negative reviews wrecking your sales overall. If he’d also been using another platform, like eBay, he would have continued to bring in sales while addressing this issue. Reviews and bans on one platform don’t impact your ability to sell on another. So in case one of your seller accounts is wrongfully banned, you’ll have another income stream to fall back on. Amazon is an insanely competitive platform, and it’s only getting more competitive as more third-party sellers join. 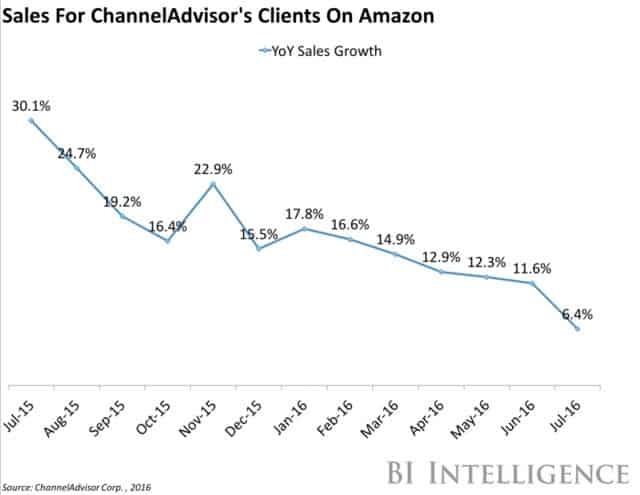 In fact, a 2016 ChannelAdvisor study showed a steady decline in Amazon sellers’ year over year growth, down from 30.1% in July 2015 to 6.4% in July 2016. ChannelAdvisor explains that the reason for this decline is the influx of third-party sellers on the platform. While Amazon’s overall sales continue to increase, all of these new sellers have led to a “price war between merchants.” That’s because Amazon is built for comparison shopping to cater to how today’s consumers shop. So when it comes down to it, the seller who makes a sale is often determined solely by price. Since products from multiple sellers are often listed as the same product, shoppers will buy from the seller with the lowest price — even if it’s only a difference of one cent. As a result, selling on the platform can feel like a race to offer the lowest possible prices. Of course, consumers on virtually every platform care about getting a good deal. But if you’re selling unique products and want to have more control over your pricing, expanding to a platform like Etsy where users also prioritize getting a product that’s unique and handmade will allow you to stand out based on qualities other than price. Your target audience spends time online doing things other than shopping. 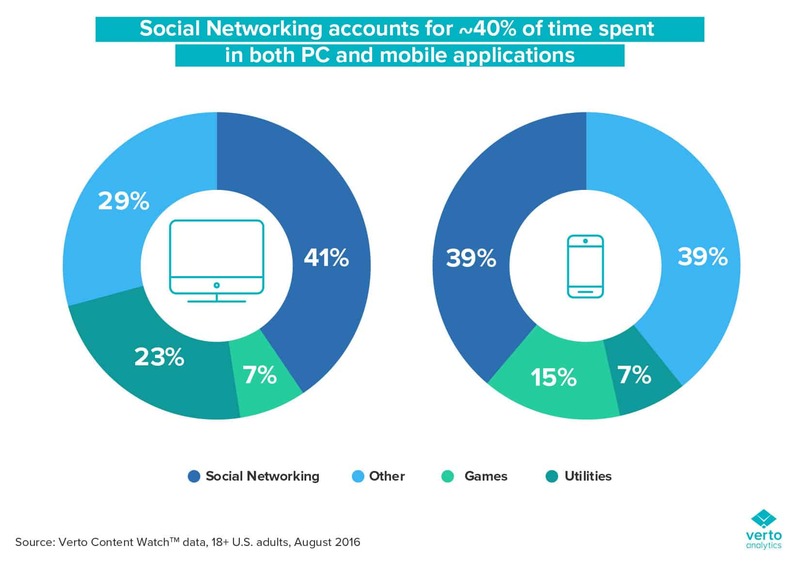 In fact, social media accounts for roughly 40% of time spent online for both desktop and mobile internet users. As a retailer, your primary concern is likely reaching users as they’re shopping. But considering how much time they spend on social media, it’s beneficial for your brand to establish a presence there, too. From a marketing standpoint, the reasoning is clear. If a user doesn’t go online with the intention to shop, they might still make a purchase if something catches their attention. In fact, in one survey, 75% of respondents said they’d purchased something because they saw it on social media. Beyond that, many social media platforms and search engines have added features that enable businesses to sell directly to their users. Plus, when you consider that 86% of shoppers make purchases across at least two channels, it’s almost insane not to take advantage of those additional options. Still not convinced that a multichannel strategy is for you? 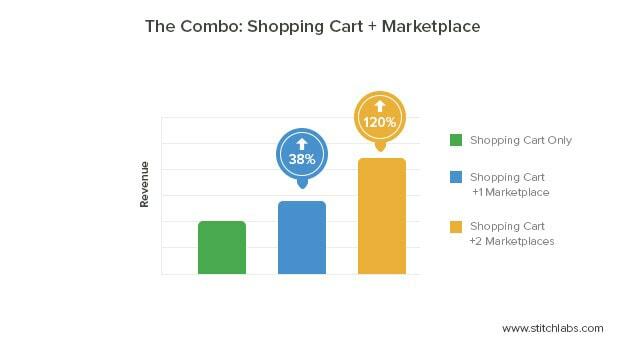 Consider this: Retailers who sell on one marketplace in addition to their own site see an average 38% increase in revenue. Retailers who sell on two or more see a 120% increase. The exact channels that will work best for your business depend on your audience and products — but most of them fall into four main categories. 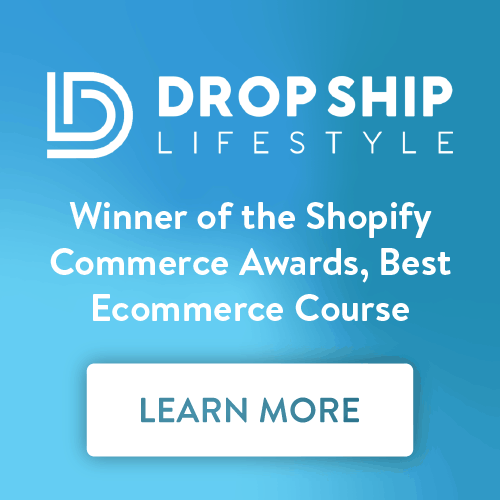 If you sell products online, your site should have an ecommerce store. This is because your site is the only platform you retain complete control over. It’s also important to note that many of the other channels you can use, like your social media accounts and PPC campaigns, are designed to drive traffic to your site. For example, when one ecommerce store owner wanted to increase his online sales, he focused on running targeted ad campaigns on Black Friday, Cyber Monday, and Boxing Day. To do this, he invested a total of $16,000 in Google AdWords campaigns and Facebook advertisements. These ads were all designed with the goal of driving qualified traffic to his website. As a result, he generated just under $140,000 in sales. This is a huge jump in sales — directly from advertising platforms that are only available to store owners who host their own sites. So if you decide to focus the majority of your time and budget on any one channel, it should be your website’s ecommerce store. 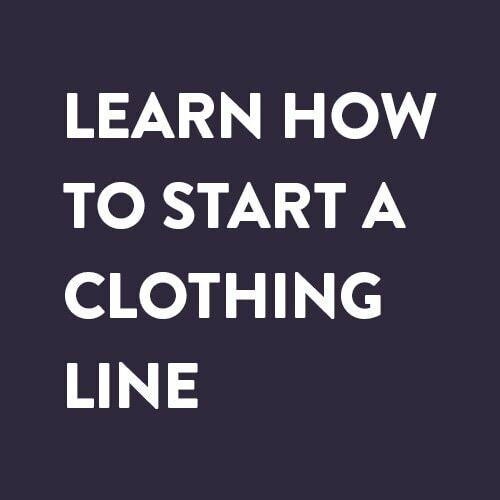 Fortunately, platforms like Shopify make it easy to launch a site and start selling online. If you’re not yet operating your own ecommerce store, developing a Shopify website is the best action you could take. 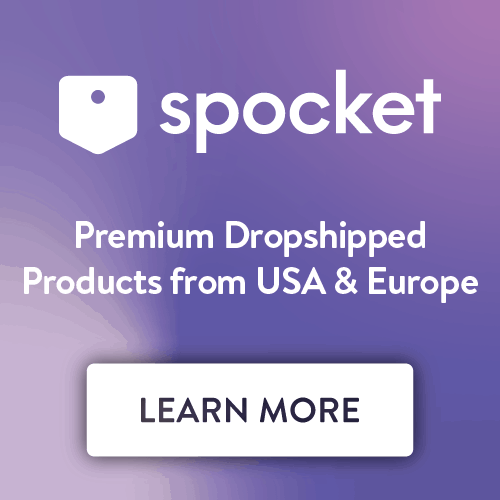 Amazon isn’t the only online marketplace for selling products. Don’t forget about sites like eBay and Etsy. Each marketplace has a slightly different user base so maintaining a presence on more than one gives you access to a larger audience. Amazon is still the largest with 183 million monthly visitors, but eBay’s 86 million and Etsy’s 31 million still represent a huge potential for sales. Plus, sites like Etsy cater to a different target audience than Amazon. So, for example, if you sell handmade products or art, you may find that more of your target audience spends time on that platform. The key with these marketplaces is to avoid putting all of your eggs in one basket. Creating revenue streams on multiple platforms is a great way to diversify your business and reduce the damage that a ban or suspension from any of them could do. Now, many of them also offer in-platform shopping features you can use to generate even more sales. Leveraging a social media presence (or if you’re willing to develop a successful social media strategy), you can use several platforms to increase your sales. Facebook now lets retailers add a “Shop” tab to their Business page. You can use this to add individual product listings, complete with a photo, product description, and pricing information. Traditional advertisements require users to visit a retailer’s site to learn more about a product but this feature allows them to access all of the information they need without leaving the platform. If your brand is already active on Facebook, adding a Shop tab could be an effective way to simplify the buying process for your followers. Then, you can ramp up your marketing strategy on the platform with new ad campaigns or create a Facebook Group (one of the best ways to promote without promoting) to attract users to your page and generate sales. The Instagram Shopping feature lets retailers add tags with product names and prices that link directly to your store. If your brand has a solid Instagram following, this feature could be just what you need to turn your followers into customers. In fact, 30% of Instagram users say they’ve purchased a product they found on the platform. And if you don’t yet run an active account, it’s a good option to consider if you’re already regularly producing product photos or have aesthetically-pleasing branding. Pinterest’s Buyable Pins feature lets brands run ads that are virtually indistinguishable from the platform’s organic content, other than the price listed below each product. Pinterest’s users often browse the site to find new ideas and products so if you’re not yet using the platform, running a test ad campaign could help you determine whether your target audience is active on it and, if they are, creating Buyable Pins could be an effective way to use it to generate sales. Comparison shopping engines, or CSEs, are designed to help shoppers easily evaluate their options based on price, shipping, reviews, and other information. 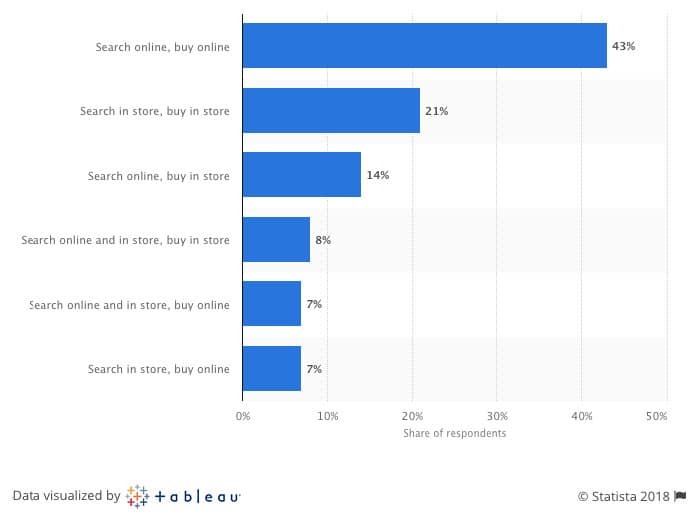 The most common CSE is Google Shopping. If you have searched for consumer goods on Google, you’ve likely seen a box in the results with product photos and information. These listings link to product pages, where users can learn more about each product and potentially make a purchase. A listing in this box can result in significant sales for your business. For example, retailer ECCO Oxford saw a 28% increase in conversions after launching a Google Shopping campaign, while TravelSmith Outfitters reported a 200% increase in sales. But, as you may have suspected, getting there isn’t free. Though Google Shopping originally included organic results, it is now made up entirely of paid listings. You can create and run Google Shopping campaigns through your AdWords account. If you’re already using AdWords, testing a Google Shopping campaign is easy and, if the results are positive, making the platform a regular part of your marketing strategy is great to drive a steady flow of qualified traffic to your site. It’s also worth noting that Bing offers a similar feature through its Bing Shopping campaigns. If you like the results you see with Google Shopping, running similar campaigns on Bing is a quick way to expand your market and drive even more sales. Plus, the cost per conversion can be up to 62% lower on Bing. This means that you can run ads at a much lower cost than what you pay for placement in Google. So, if nothing else, it’s an affordable platform to test. As you expand your online retail presence, keep these five tips in mind to grow in a way that helps you reach your business goals. If you use a customer relationship management (CRM) platform like Salesmate or Zaius, you have a wealth of customer data at your disposal. You can use this data to create segmented lists based on recent purchases, browsing behavior, and more. Then, upload those lists to the channels where you’re selling to create highly-targeted ad campaigns. Considering that users who are retargeted are 70% more likely to convert than users who don’t see a retargeted ad, this is a strategy that could have a major impact on your sales. For example, if you decide to run ads with Google Shopping, you can upload a list of users who visited a specific product page on your site. Then, run an ad that features that product. As those users scroll through their news feeds, they’ll be reminded of the item they viewed — and have the option to purchase it quickly and easily. Running this kind of targeted, personalized campaign helps you re-engage users who are already familiar with your brand. When you reach them on multiple platforms, you can be more effective in encouraging them to take the final step towards becoming a customer. This is advice you’ve probably heard a thousand times on various marketing blogs, but it bears repeating: Always keep your target audience in mind. Each platform is only useful for your business if your target audience actually uses it. So, as you weigh your options, don’t just consider the retail options and fees — consider where your customers spend time online. It can be tempting to go with platforms that have the largest user base or easiest setup process, but those aren’t necessarily indicators of success for you. If your audience is on Pinterest, focus your efforts there. If they spend time browsing Etsy, go there instead. Even platforms like Tumblr and Reddit can drive sales if your audience is there — so make sure that your potential customers’ browsing habits play a role in your strategy. If you’re not sure where your audience spends time, you can also use your CRM data to figure it out. You can upload your email list (or segments of your email list) to almost every major social media platform, then use it to target ad campaigns to users on your list. On Facebook, for example, this feature is called Custom Audiences. To create one, log into Ads Manager, click “Create Audience,” and select “Custom Audience.” From there, you can upload your email list as a CSV or text file. Then, Facebook will match each email on your list to the Facebook users they’re associated with. This means that you can run ad campaigns targeting users who are already subscribed to your email list. Run a test campaign to see if your audience responds. If not, it’s likely not a wise move to invest too much more of your time and budget into the platform — especially when there are plenty of other platforms to try. 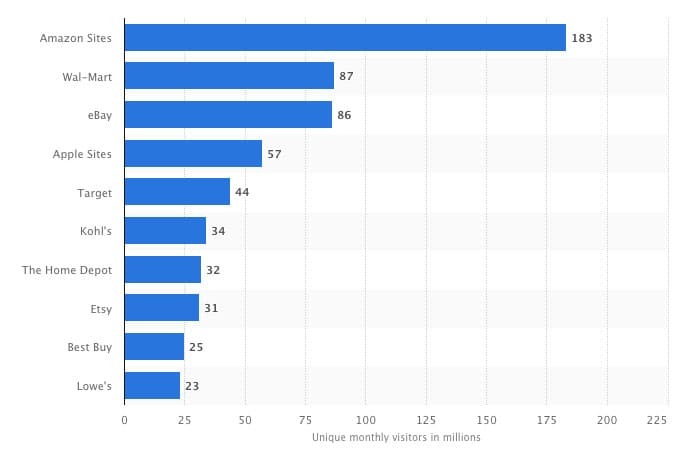 When creating content for these new channels, messaging is the most important part. Ensure that your brand tone matches the audience and the platform. Every business is different. There’s no tried-and-true multichannel retailing strategy that works for everyone — so you’ll have to get a little creative. Your creativity can show up in the content, visuals, and copy you create for each channel, or in how you use the options available to your business. To get creative with content and multi-channel selling, Pura Vida taps into affiliate marketing, which is responsible for 16% of all online store sales worldwide each year, to drive sales and engagement. 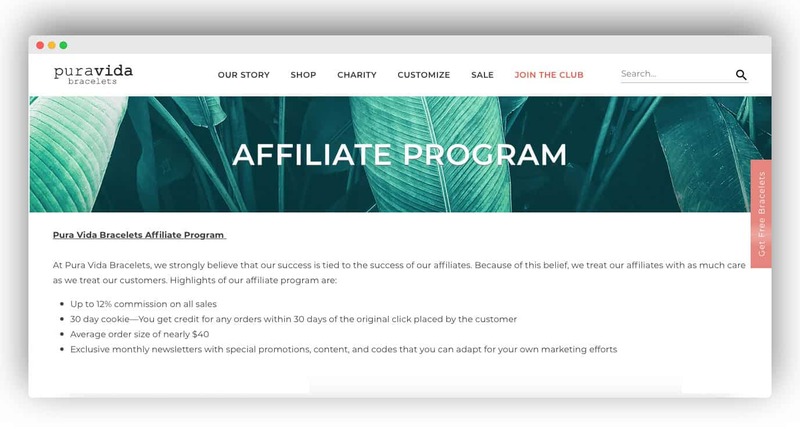 Having this program gives bloggers and content creators alike the opportunity to work with them in a symbiotic relationship, where users can make money while Pura Vida gains brand awareness and direct sales. But, you don’t have to create content from scratch. In fact, many don’t. Content can be repurposed more than half a dozen different times, like turning blog content into fun social media videos. This strategy wins big with multi-channel ecommerce because it takes one piece of content and spreads it across channels in the content type specific to that channel! Love Your Melon is a prime example of this. Writing longer blog posts on their site helps them bring in traffic from organic search. They then repurpose that content into different formats. For example, sharing the pictures from that day on Instagram with a short caption explaining the day, subtly promoting their products. Now that’s multichannel success at it’s finest, all while promoting without promoting. There are many channels for selling your products online. Testing the waters is the easiest way to find which work best for your business. This means you may end up selling and running campaigns on quite a few platforms which is great! But don’t hesitate to eliminate the platforms that aren’t getting the results you want. Regularly evaluate your performance, then adjusting accordingly. Each platform mentioned in this article gives sellers and advertisers access to platform-specific metrics and data in order to do this and, beyond that, if you use a platform like Shopify, you can easily see which platforms are driving sales on your ecommerce site at a glance. Your goal should be to focus your time and money on the channels that generate sales and drive growth — and the more accurate your business is at determining what those channels are, the easier it becomes. If you’re new to multichannel retailing, it may seem overwhelming but all of these platforms present opportunities for your business to grow. So, if you’re still relying on Amazon for your sales, it’s time to make a change and with the number of options you have available, there’s no reason not to see if any of them have the potential to generate more revenue for your business. Test out a few channels, run a few campaigns, and start gaining more control over your retail business’s success. Ron Dod is the CMO and Cofounder at Visiture, a marketing agency focused on helping leading brands be more successful online. 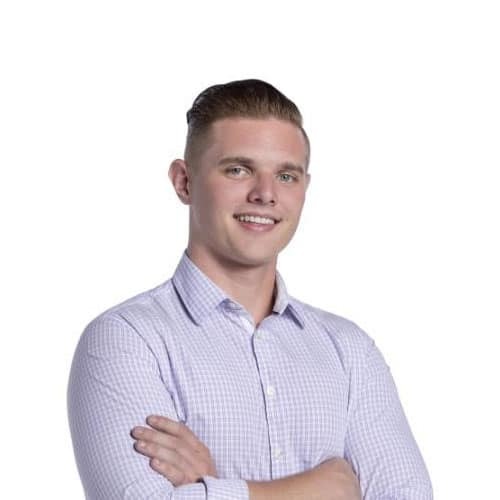 His passion is helping marketing professionals & ecommerce executives navigate the SEO & marketing landscape to increase qualified traffic and conversions. Connect with him on Twitter and LinkedIn.